On the 7th of December 1941, the Japanese attacked the USA at Pearl Harbor without declaring war untilhand. The entire US war fleet suffered heavy losses during this sneak attack which the Japanese called "Tora Tora". 18 ships and 188 aircraft were destroyed and 2.403 Americans lost their lives. The Japanese strike forces themselves only lost 29 aircraft and 200 military personnel. 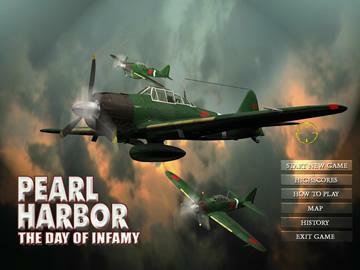 Become the nation's hero, get into an Ack-Ack gunner's seat and shoot down as many Zeros as you can. It's your job to defend the harbor and play down the losses to ships, buildings, aircraft and human lwhethere. You're the only chance the US has of surviving this catastrophe, rewrite this notorious chapter of history and give the Japanese a lesson written in blood. Lots of luck! You'll need it!